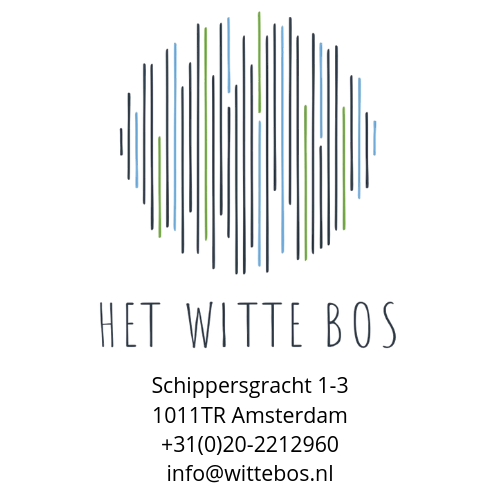 Het Witte Bos was founded in 2013 by photographer Allard de Witte and journalist Joost Bos. The foundation initiates projects aimed at awareness and prevention of FAS by telling stories from a personal perspective, displayed by several types of media. Projects are carried out together with social organizations, government and institutions. In this way, our projects make real impact and effect. Foundation Het Witte Bos was founded in 2013, aimed at drawing attention to neglected themes in society. We want to make a difference and inspire and inform a broad audience. We initiate our own projects, financed by funds, or work on assignment if the theme aligns with the aim of the foundation. The board consists of chairman Jacobine Geel (theologian, presenter and chairman of GGZ The Netherlands), treasurer Vincent de Schepper (general practitioner and healthcare entrepreneur) and secretary Bas van Beek (director Hollandse Hoogte). Allard de Witte is photographer, general coordinator and concept developer. Liza Neto Gomes de Almeida and Cynthya Warnaar coordinate FAS2025. Frederike Kossmann and Harma Smit coordinate Alles Goed. Renée Hilhorst organises audiovisual productions for several projects. The FAS-project started as a journalistic initiative to raise awareness for FAS, but eventually developed into a big multimedia awareness campaign, showing the dangerous consequences of alcohol consumption during pregnancy. By storytelling, the project raises attention to a relatively unknown problem in a personal way. The FAS-project started in 2013 and will continue until at least 2025. In FAS2025, 5 children with FAS are followed for ten years in their journey towards adulthood. FAS2025 tells the story of Isiah, Mila, Lorenzo, Marcella and Jasmijn by several touching portraits, minidocs and stories. The project also consists of the book Children with FASD – Kinder mit FASD, expositions, films, a college tour to inform future professionals about FAS, a project in which letters are exchanged between young adults with FAS and their mother, and more. Each year, several new elements of the project are added to FAS2025. In the book Children with FASD – Kinder mit FASD, photographer Allard de Witte and journalist Joost Bos give a personal and affectionate insight into the lives of children with FASD – children harmed before they were even born. The book is a combination of both a German and English translation of the Dutch book FAS-kinderen and consists of 223 pages. It is a photography book with many touching and amusing portraits and three short atmospheric stories about Isiah, Lorenzo and Mila. Also, in cooperation with several professionals, three chapters discuss diagnosing FAS, prevention and prevalence of FAS, and the public view on alcohol and the responsibility of society.